Facilities: FCI McDowell with an adjacent minimum security satellite prison camp. 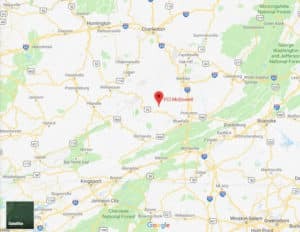 Location: FCI McDowell is located in southern West Virginia, four miles north of Welch and 48 miles southwest of Beckley, West Virginia. Background: One of the newest federal correctional institutions, FCI McDowell opened in 2011. The facility was completed in 2010 at an approximate cost of $223 million. The first inmates to arrive were assigned to the minimum-security prison camp and were immediately put to work in maintenance jobs. McDowell County residents had voted nearly unanimously to allow the construction of the prison at its location because of the assertion that it would create many job opportunities for the economically challenged county. However, in July 2010, West Virginia Public Broadcasting reported that local people were not landing as many prison jobs as expected. Out of the first 87 hires, only 12 were from McDowell County and five from the bordering Wyoming County. Notable inmates include former Trenton, New Jersey mayor Tony F. Mack (serving a 58-month sentence for bribery, mail fraud, wire fraud, and extortion). Housing: Inmates are housed in two-person cells. Inmates at the camp are housed in dormitories. Health Services: Dental call, sick call, routine dental care, physical examinations, emergency services, eyeglasses/contact lenses, diagnosis and treatment of chronic infectious diseases, preventive health care services, and medications are provided to inmates. Psychology Services: The FCI McDowell Psychology Department provides a variety of services. Individual counseling is available for inmates experiencing family, interpersonal, adjustment, or other personal concerns. Educational and therapeutic groups are offered as well. Group topics are determined based on population needs, interests, and staff availability. The materials include topics that assist and motivate the user in their self-improvement efforts. Inmates are placed on call-out to come to Psychology to review the material and complete a corresponding assignment. A certificate of completion is awarded for successful completion. This program is only offered at the FCI. The self-help library program includes books and audio and video materials. A psychiatrist, who is a medical doctor, is available for regular consultation for those needing medications or medication monitoring. There are many alternatives for inmates who have personal problems and desire to correct them. These options include self-image groups and other voluntary groups conducted by correctional counselors. Residential Drug Abuse Program (RDAP): FCI McDowell does not house a Residential Drug Abuse Program (RDAP), but referrals can be made to institutions which do provide RDAP. The facility does provide a Drug Education Class and the Non-Residential Drug Abuse Program (NR-DAP). Education Services: FCI McDowell and the camp provide literacy, English-as-a-Second Language (ESL), and parenting programs. Adult Continuing Education (ACE) classes are also available. High school diplomas and post-secondary programs are available through paid correspondence programs. Advanced Occupational Education: FCI McDowell and the camp do not offer advanced occupational education programs. Vocational Training: FCI McDowell offers vocational training in Carpentry, Masonry, and Residential Wiring. The camp offers Business Marketing. Apprenticeship: FCI McDowell offers an apprenticeship in Dental Assistant. Both facilities offer apprenticeships in Cook, Electrical, HVAC, Plumber, and Teacher Assistant. The camp offers Welding. Library Services: The law library is located in the Education Department and contains a variety of legal reference materials for use in preparing legal papers. Reference materials include the United States Code Annotated, Federal Reporter, Supreme Court Reporter, Bureau of Prisons program statements, institutional supplements, indexes, and other legal materials. Inmates can also check out fiction and nonfiction books, newspapers, and magazines. UNICOR: FCI McDowell does not house a UNICOR facility. Commissary: The total value of an inmate’s accumulated commissary items (including special purchases) is limited to the monthly spending limit of $360.00. Inmates are allowed to purchase items such as candy, snacks, food, drinks, clothing, and shoes once per week. Recreation Services: Leisure activities and recreation programs at FCI McDowell include indoor and outdoor activities, and range from individualized arts and crafts programs to intramural team sports. Physical fitness and weight reduction programs are also available.